Lost Vegas is proud to present A.C. Freazy live with support from Imugi and a very special late 'til close DJ set from Marjorie Sinclair. A.C. Freazy is the moniker of Auckland based musician/producer Alex Freer. While earning his spot as an in-demand session drummer he’s filled the throne for Tiny Ruins, Artisan Guns, and Carnivorous Plant Society, all the while working behind the scenes on his own brand of alt synth-pop. 2017 saw A.C. come to the forefront with debut single, “Creeping in”, followed by a four track EP, and beguiling live shows around the city. “Only One” delves deeper into the sound palette created by A.C., with breakbeat drums, woozy synths, and percussive guitar stabs. 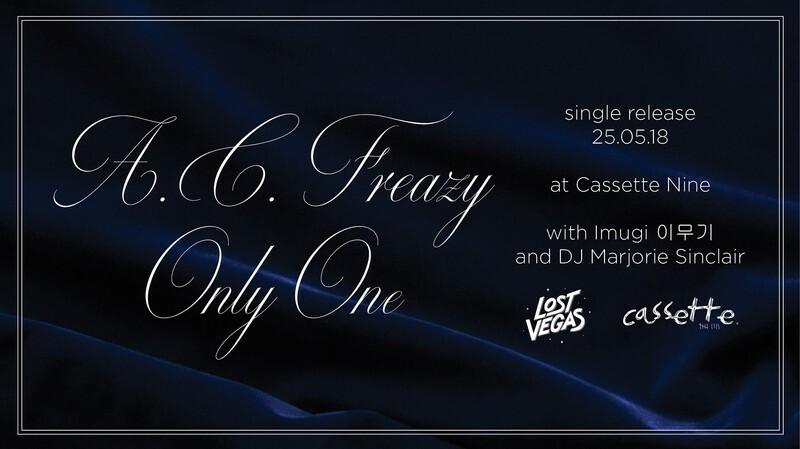 A.C. Freazy will be releasing a new single called 'Only One' and we'd love you to come help celebrate.